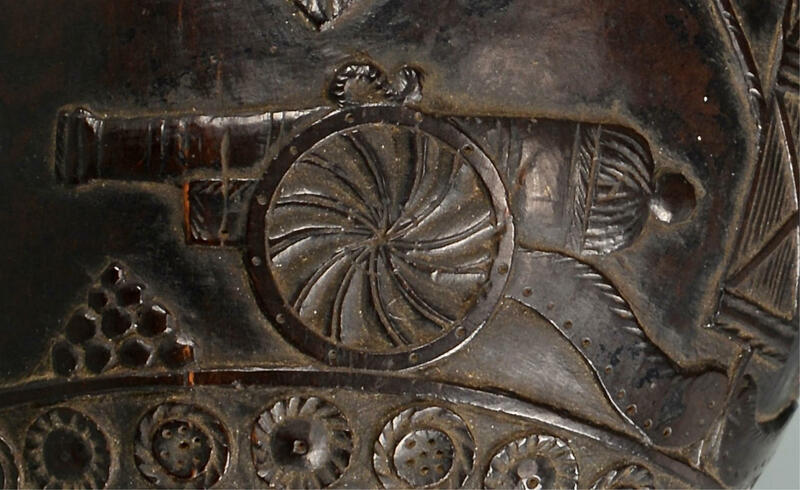 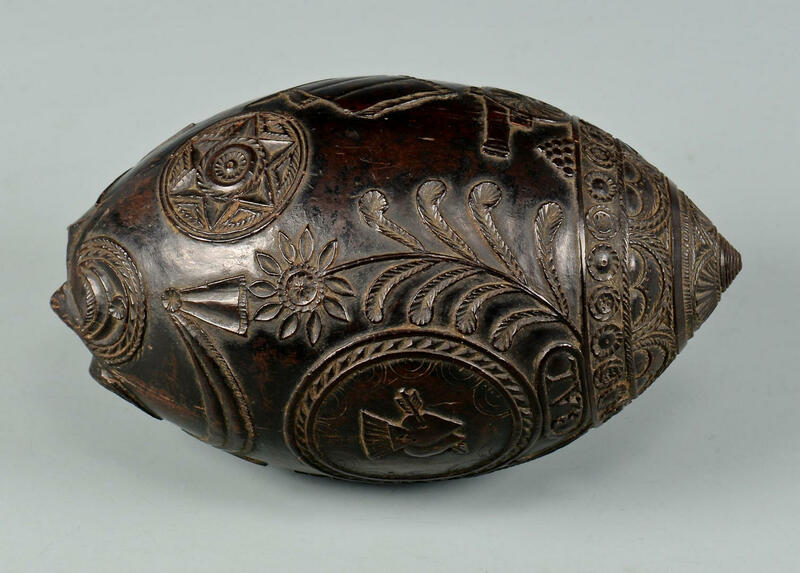 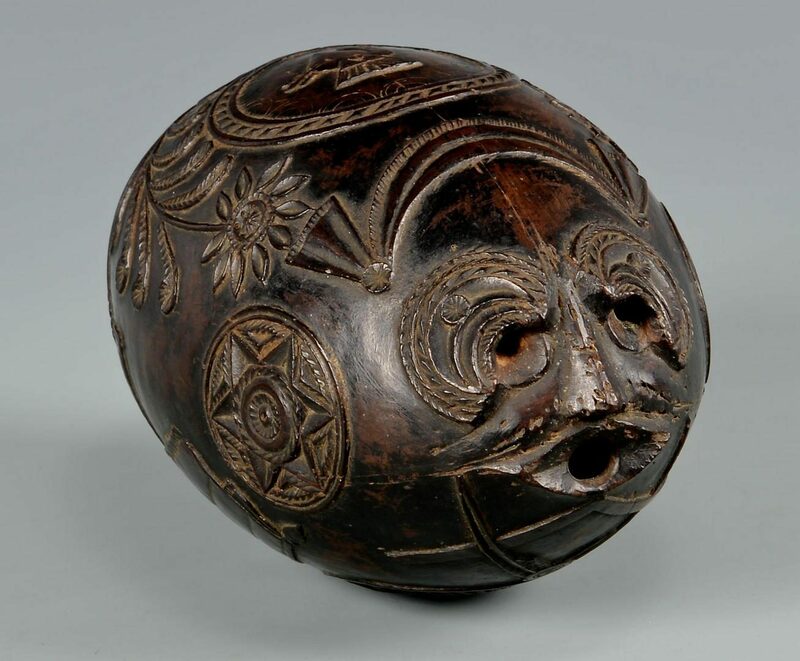 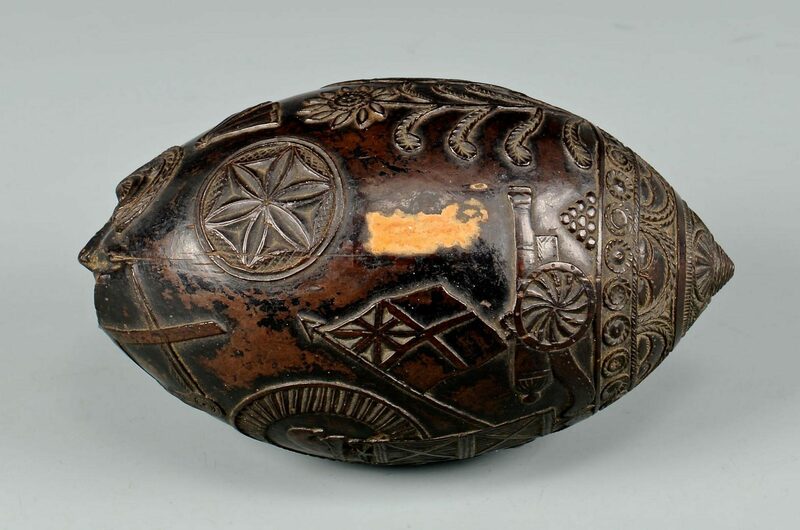 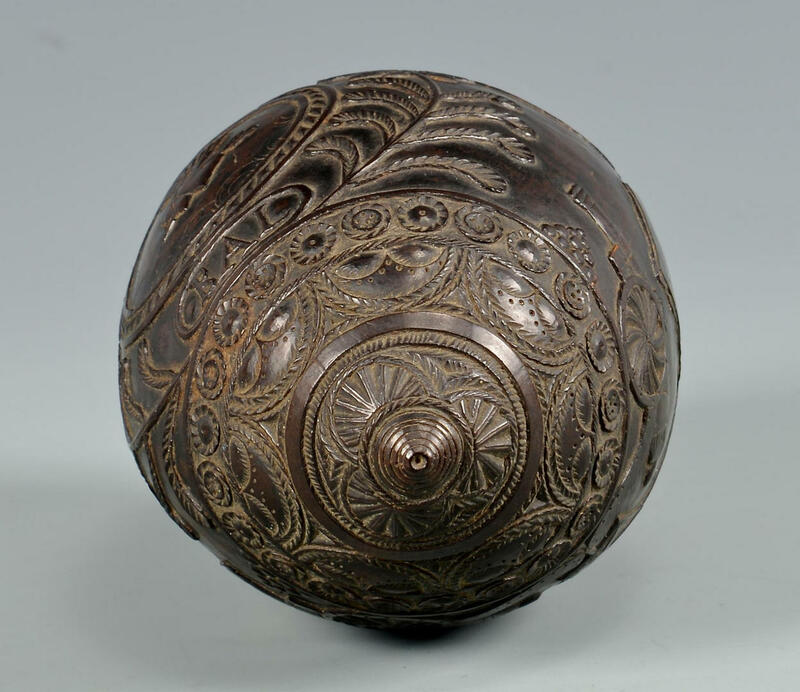 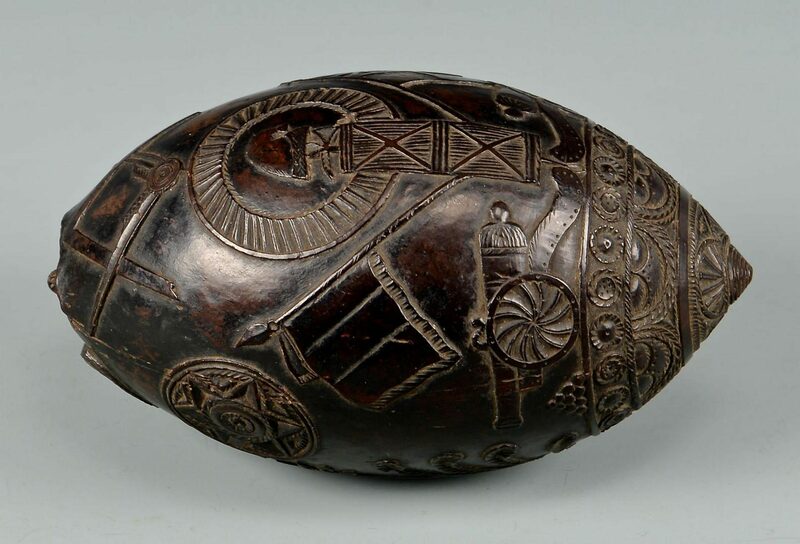 19th century carved coconut shell, carved into form of a flask with face, overall elaborate carving including cannons, British and French flags, hearts, flowers, swags, Masonic compass and moon, two six-pointed stars within circles and the initials 'BAL". 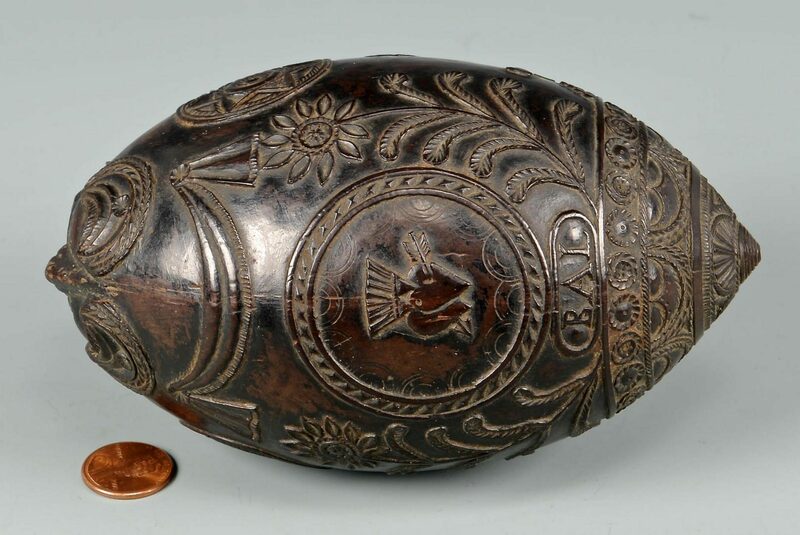 CONDITION: One small area of wear/residue, approx. 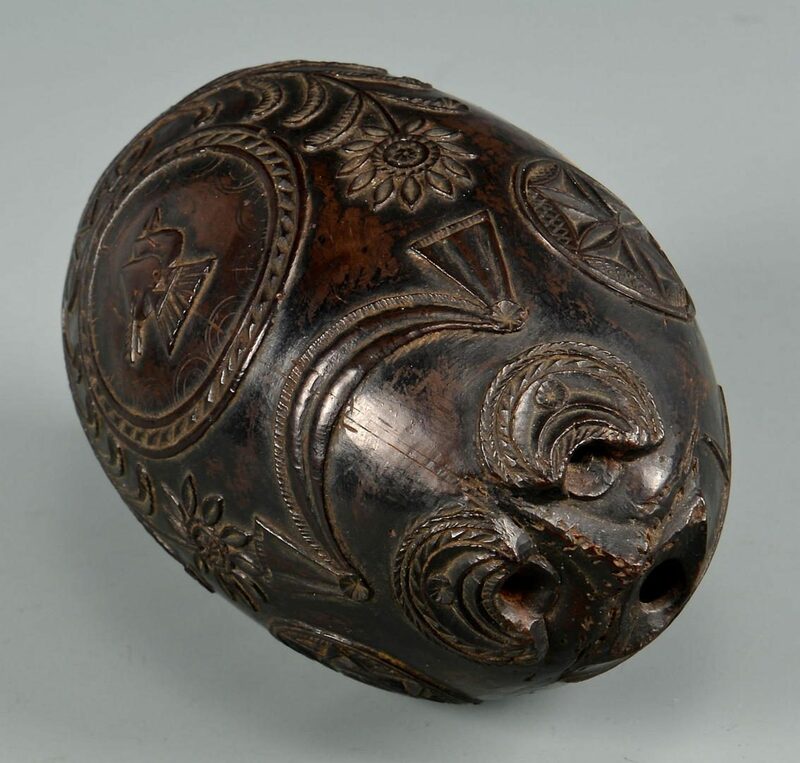 3/4" L, otherwise overall good condition.